The 36th Annual St. Maarten Heineken Regatta brings sailboats and sailors from all around the world to compete in this world-class competition. Over the course of three days, sailing teams of all classes vie to complete the race around the island in the shortest amount of time and at night, sailors, tourists and locals alike join in the festivities that take place throughout the island. The penultimate evening celebration on March 5th took place at Kim Sha Beach, former home of La Bamba bar and future site ofanother luxury resort. 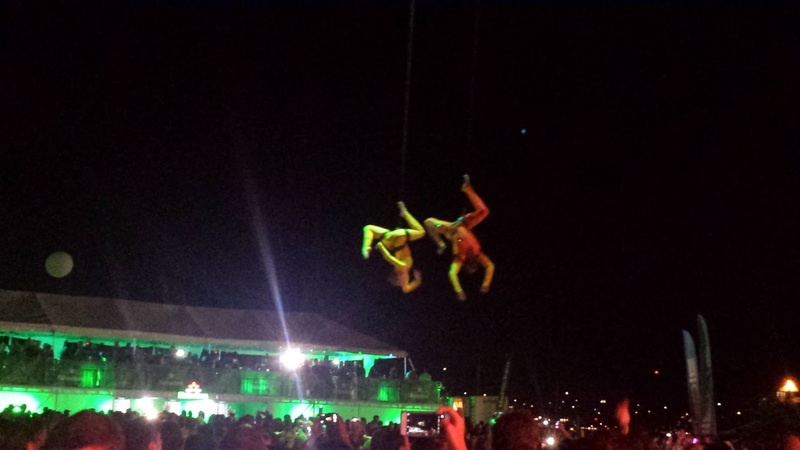 The evening featured four Caribbean acts: Honeypot (Aruba), Orange Grove (St. Maarten), Ziggi Recado (St. Eustatius) and Rock City (St. Thomas). 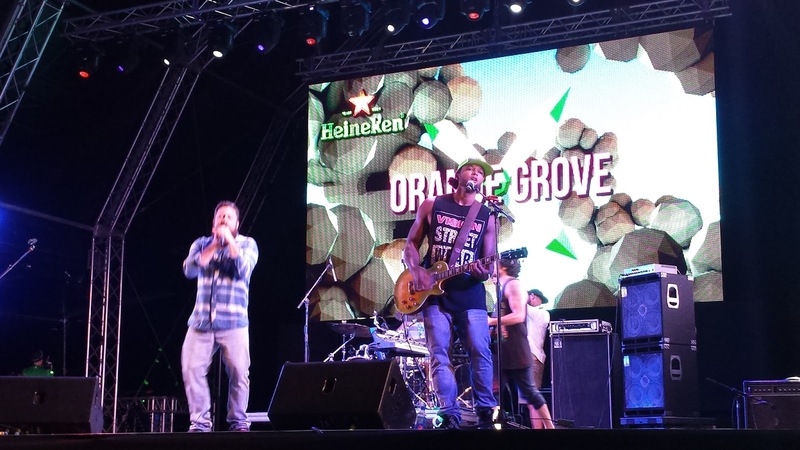 Orange Grove is a band somewhere on the surf rock reggae spectrum between 311 and Bob Marley. A five-piece band consisting of Michael Maidwell on the mic, Jacob Streefkerk on guitar, Robert Biesewig on drums, Tim Kesteloo on guitar and Daniele Labbate on bass, they are a homegrown band hailing from the shores of Sint Maarten. They started with an energetic, heavier number, that referenced Rage Against the Machine's “Bulls on Parade” but evolved into an easy-going roots-rock number. They played several of their most crowd-pleasing songs, like “When I Return” and “Easy Love”, which they played against the backdrop of the song's music video. 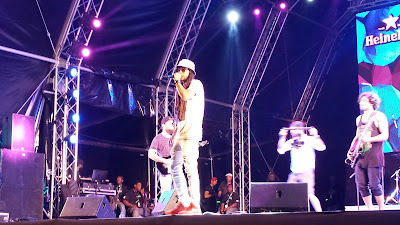 They have a modest following among the locals, with more than a few members of the audience cheering and singing along to songs from their first album, Genuine Origins, like “My Roots”. 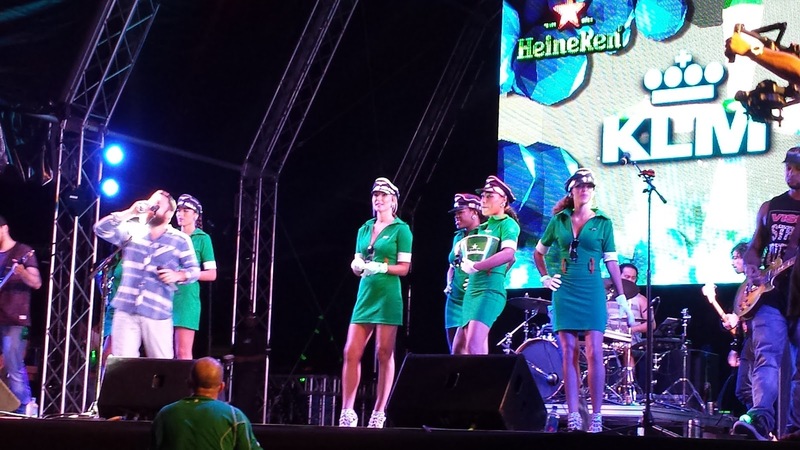 Veterans of the Heineken Regatta, their set was peppered with plugs for the festival sponsors, like KLM and Heineken and at times it even got a bit incongruous, like when two random aerial dancers entered by crane and contorted above the audience during one of their harder tracks. Orange Grove is no stranger to playing at the Heineken Regatta, and they know what the people (and the sponsors) want. 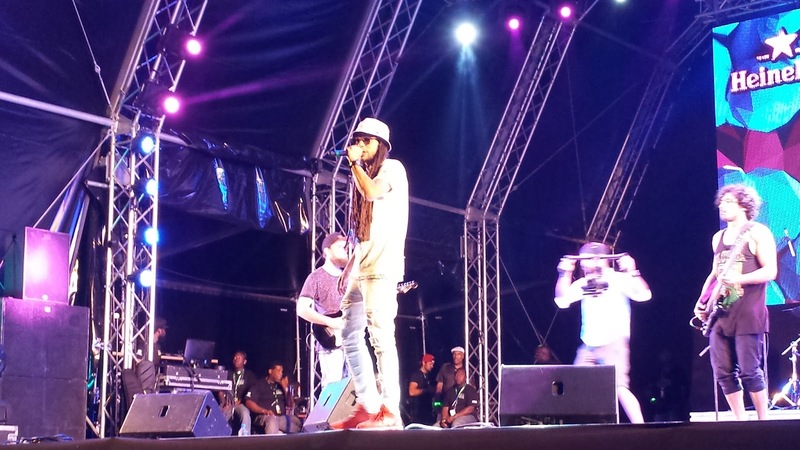 Their set delivered without reserve, the good times and chill vibes that is demanded of them. 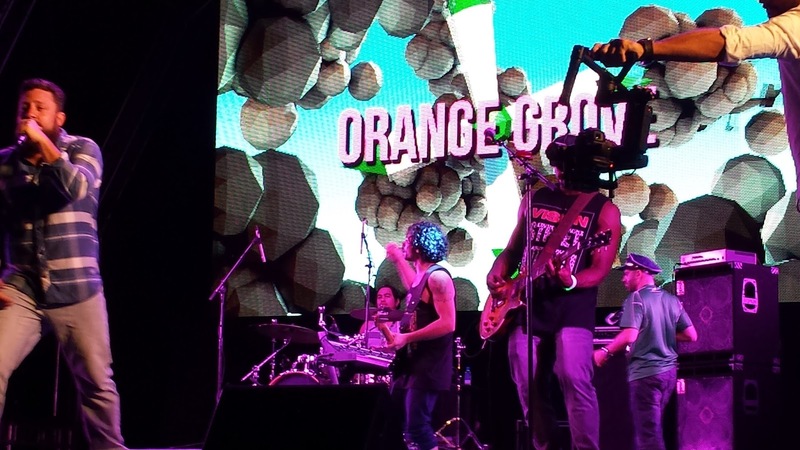 Orange Grove performs "When I Return"